Writer-director Tony D’Aquino’s debut feature The Furies, feature documentary Family from director Kim Beamish and a presently untitled six-part drama from Blackfella Films/the ABC are the first three projects to be supported by Screen Canberra’s CBR Screen Fund. First announced in June, the $5 million fund is aimed at boosting the local sector in the ACT, as well as attracting projects that lift Canberra’s international profile. It is the first dedicated fund Screen Canberra has had for three years, and the funding can go towards late stage development (with market attachment); equity, debt and structured funding; P&A funding or enterprise funding. Both The Furies, which shot earlier this year, and Family are from ACT-based practitioners. 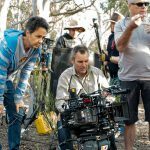 The Furies was developed through Screen Canberra’s Accelerator Pod initiative, a collaboration with The Film Distillery and sales agent Odin’s Eye Entertainment. 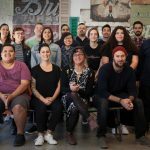 “We are very pleased with the quality of these projects, the mix of genres and formats and a strong representation of Canberra talent. 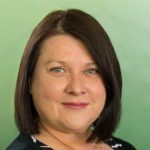 It’s a great first round of applications,” said Screen Canberra CEO Monica Penders.